Bible Banned and Labeled as "Hate"
"From the sarcastic standpoint of those who rule us WITHOUT OUR CONSENT, in violation of the U.S. Constitution, America is becoming too populated for there to be supposedly guaranteed rights. Remember, the Bill of Rights is heavily packed with the word NO. It is a shield against a tyrannical central government. At the hands, however, of a corrupt and venal federal judiciary and a treasonous central government, and a bought off and blackmailed Congress, the Bill of Rights is a worthless, useless piece of paper. The cowardly mass media are mere scriveners, writing down what they are dictated. Liberty is the right to choose. Freedom is the result of making the right choices. All that is necessary for the triumph of evil is that good men do nothing! Asked if the US was heading into a dictatorship, Congressman Ron Paul responded, "It's getting close to it, it's called usurpation of power and it's done in many ways with Congress just going along because they're sound asleep and this certainly is an attack on our Constitution and on our freedoms." The Congressman said that the flames of war are being stoked by internationalists who have no loyalty to America and that their ultimate goal is complete control of the earth's resources. 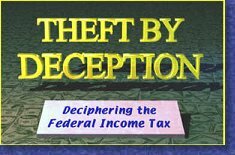 Theft Of The American People! If we do not believe in freedom of speech for those whom we despise, then we do not believe in it at all. 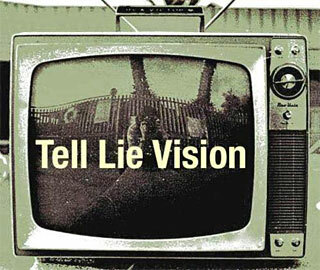 Police Trained How To LIE! With the current situation in this country, it's more important than ever to protect your rights when dealing with law enforcement. Read through the following links to get a basic understanding -what you learn may surprise you! Why You Should Be Hesitant To Call Cops: Police Murder Because They Are Trained To Murder! This article is an interesting breakdown of police interrogation tactics. They are not your friend. 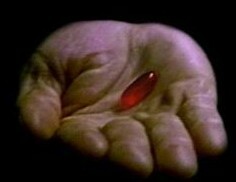 Although the Infowars.com website may be startling to some people at first glance, it is a bastion of truth. I do not necessarily agree with everything on the website, but Alex Jones is one of my heroes (and should be yours too if you love America, freedom, and God). The Word of God teaches in 2nd Thessalonians 2:10 that the masses will be DECEIVED because they received not the love of the truth! The truth has few friends these days. Every Christian ought to be a truth-seeker (not gossip or slander); but truth, justice, equity, caring and mercy. Though some people believe the 911 terrorist act was God's judgment upon America, I think not. Is God judging you if you leave your bicycle unattended and someone steals it? No, you were foolish to leave your bike vulnerable. Likewise, we have become complacent in America. We must now realize that war, scandal and corruption are a fact of life. Therefore, we must defend our God-given freedoms. God gave us freedom, we must keep it! God has blessed America!!! But for how long? Many of the following articles are shocking! As Christians, we need to know what is going on in our nation and the world. We all need to Wake Up!!! What About WTC 7 Building? (Most people don't know about the THIRD building that crumbled just one block north of the trade towers hours later. No planes hit it and there were only a few small fires, so why did WTC 7 crumble wholly to the ground exactly as an imploded building would? CNN Admits No Plane Hit Pentagon! If you don't know your rights, then how will you know if they're being taken away? Wake Up America — Marshal Law is Here! National I.D. Cards by May of 2008! Police Chief Wants Cameras in Homes! Propaganda Lies | Any Questions? "Anti-hate," hate crimes legislation now before Congress is touted as a sincere attempt to end violent crimes of prejudice. Yet, nearly identical laws in Canada and some European countries have led to a virtual ban of public discussion on certain "taboo" topics. Also, public criticism of some "identifiable groups" can be a crime, subject to large fines and years of imprisonment. In this unprecedented expose, author and filmmaker Ted Pike rips the cover off this little-known conspiracy against freedom. Now is the time to protest to your elected representatives in Congress - before it is too late. NDAA Indefinite Detention for U.S. Citizens! First the terrorists were Al Qaeda, then it was Tim McVeigh, then ISIS, now it's Ron Paul supporters! First Amber's Law was enacted to save little girls, now it's being used to turn in your neighbor to police for owning guns. This is how tyranny operates! "Men often stumble on the Truth, but usually dust themselves off and hurry away..."
"So, as an honest Bible preacher, obeying the plain commands of God, I must speak out against corruption and immorality. Waste, corruption, the taking away of men's freedom and the seizing of men's property, these sins every honest preacher must condemn and every honest Christian must disavow. " 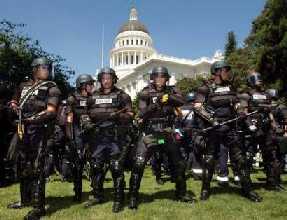 It is Official: The U.S. Is A Police State! National Defense Authorization Act (NDAA) is the death of freedom! | Free Speech is Under Attack! Research WTC 7 Building | Are We Experiencing The Last Days Of Constitutional Rule? U.S. Government Now Views Citizens Naked at Airports (Can you imagine? Virtuous Christian women, who save themselves only for their husband, are now viewed completely naked by male security airport police). 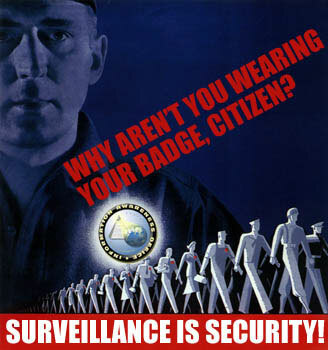 Patriot Act II | Supreme Court Upholds Injustice! 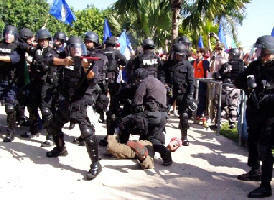 | Kmart Raid in Houston - 425 People Arrested for What? Christine Family Nightmare (terrorized by government) | DCFS Monsters! Criminalize Everything! | Spying Teddy Bears! 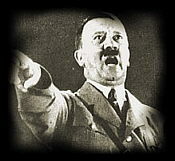 | Hitler - TIME's 1938 Man of the Year! Bible Banned and Labeled as "Hate!" | The Future of the Prison State | "Christian Communism" EXPOSED! Government Internment Camps | Operation Garden Plot | ANTIWAR? Government Wants to Tax Drivers for Every Mile Traveled | Charlie Sheen is Right About 911! "So, the ultimate purpose of all this attack on nationalism is to tear down national borders so that they can be replaced with a borderless world, a one world government. The New Agers/Humanists/Communists/Masons want a one world government. They are confident that their goal will be achieved soon because they are creating the conditions that will persuade the people that they should adopt the world government when it is offered. 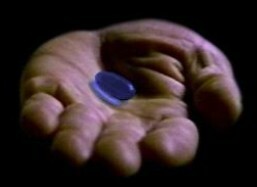 The family unit; the right to own private property; the national borders; the right to believe in a creator God; these beliefs will all be destroyed because the world must receive a world government supported by the planners inside the secret societies and the new religious groups. SOURCE: The New World Order, pg. 285, by Ralph A. Epperson; 1990; ISBN: 0-9614135-1-4; publisher: PUBLIUS PRESS, Tucson, Arizona. "Liberty cannot be preserved without general knowledge among the people." I do not necessarily endorse that the information on the following websites is correct or beneficial. Do your own research, make your own decisions, and ask God to guide you. There are a lot of pieces to the puzzle. Some websites will have more pieces than others. There is only one puzzle where all the pieces fit together. It is up to you to find the pieces and put them together the best way you can. Some truth is mixed in with lies. Some pieces will not fit. When you find pieces that fit, make copies and share it with others. There is much truth to what you are about to read. Save the sites you like and read a little each day, there's months of reading here. More Operation Garden Plot | Halliburton is Building the Camps! It's Official, say goodbye to your Freedom! Basic human rights secured to us by the Bill of Rights are no longer considered necessary by your government. While the Patriot act completely shreds the Bill of Rights, HR 6166 goes even further. HR 6166 grants the President unlimited, unchecked Dictatorial power. It gives the President and the Secretary of Defense power to accuse, detain, convict and punish whomever they personally declare "the enemy". No more public trials. No more writ of Habeas Corpus. Military tribunals (as small as one man) are to be appointed by the President and/or Secretary of Defense, and granted the power to decide the fate of the accused. 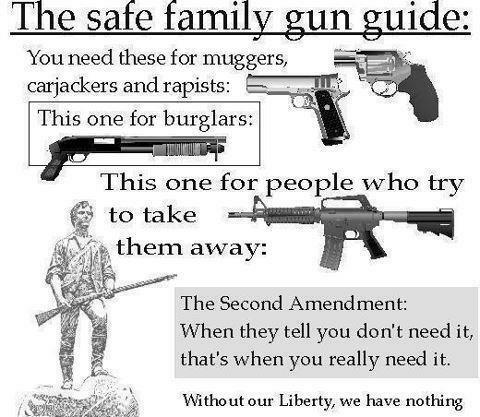 This literally allows cases of one man judge, jury and executioner. And H.R. 254 is next! Please compare and contrast these new U.S. laws to Adolf Hitler's Enabling Act, passed in 1933. You will be alarmed by the similarities. Remember, HISTORY REPEATS ITSELF. Liberty means responsibility. That is why most men dread it! burdens unnecessarily laid upon them by their governments!! !